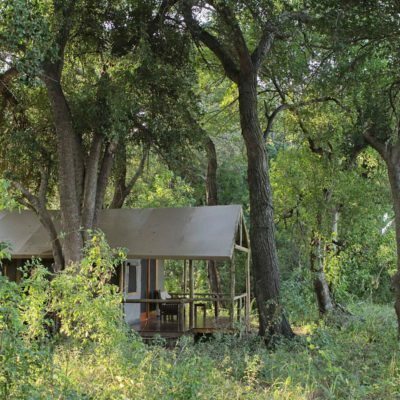 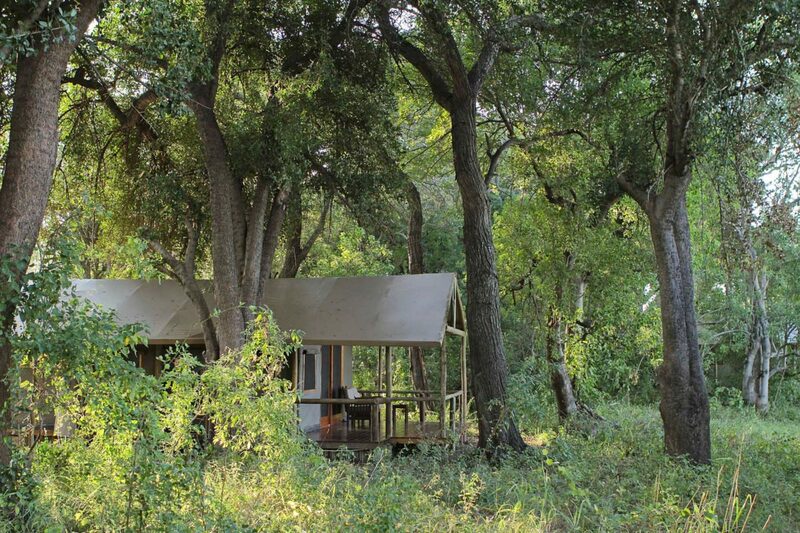 This camp is located in the Kwara Concession (adjacent to the Moremi Game Reserve) and is run by Kwando Safaris. 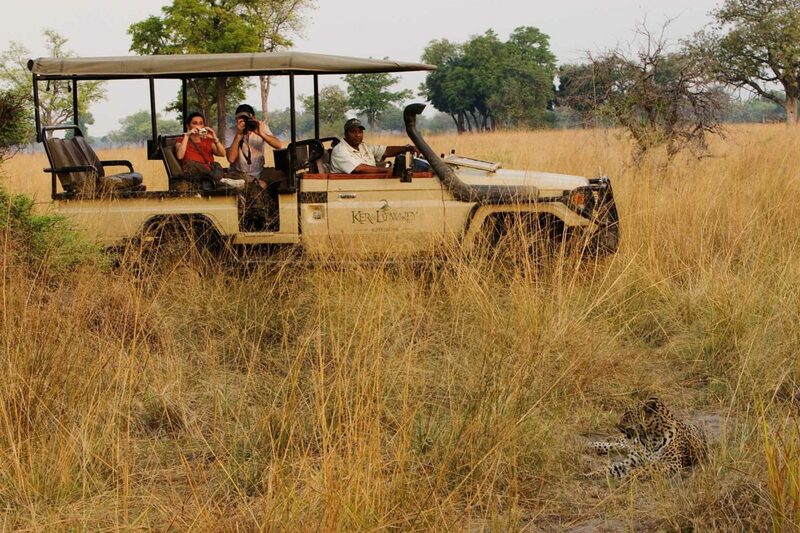 It is the “little sister” to Kwara camp, both operating in the same area. 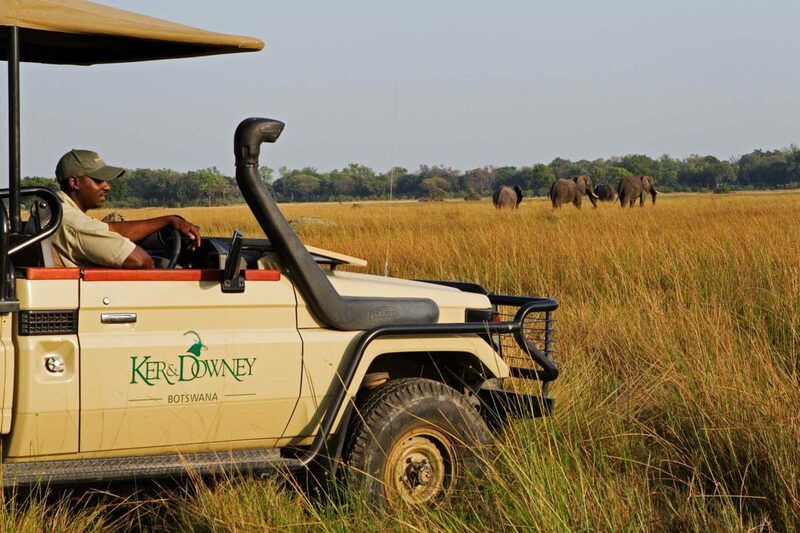 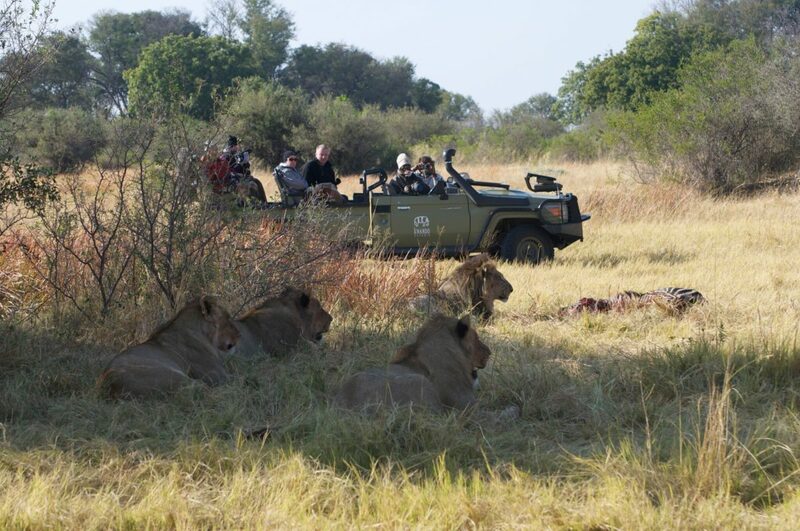 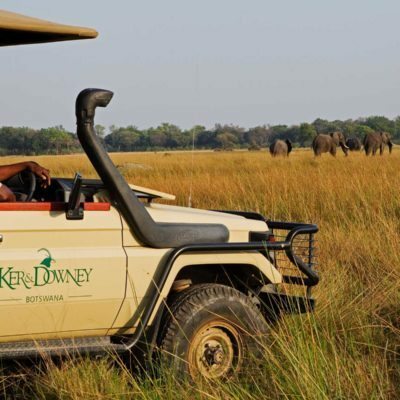 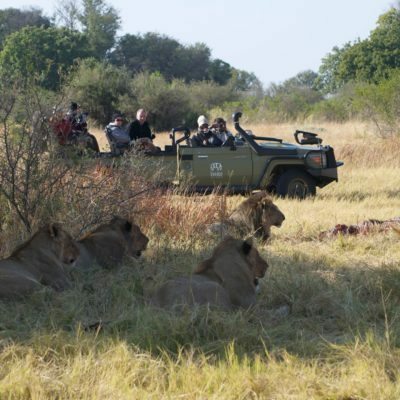 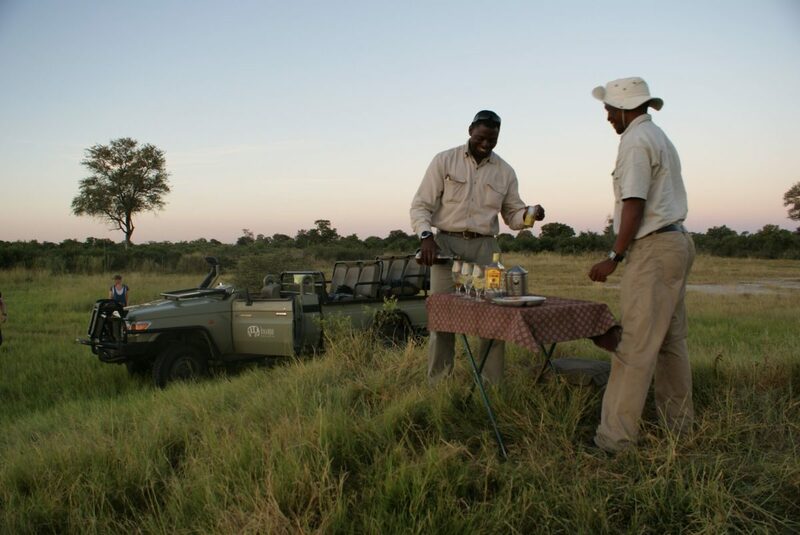 The concession is renowned for productive game viewing and we often send people there as part of an itinerary to ensure amazing wildlife sightings on game drives. 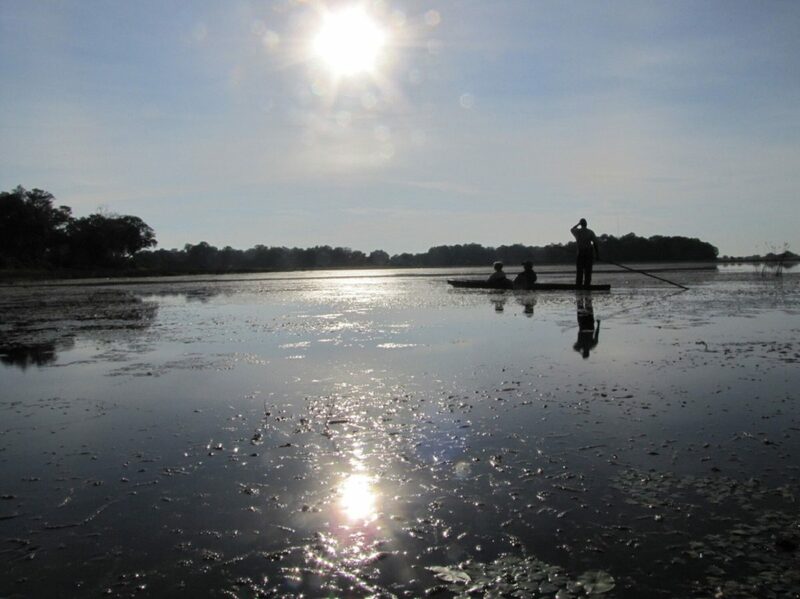 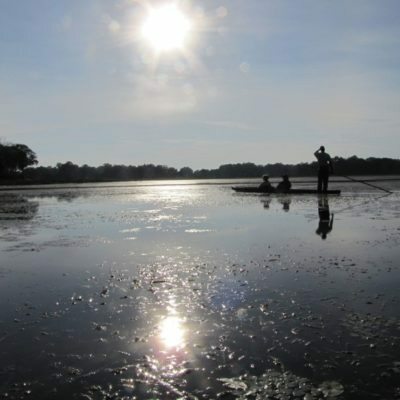 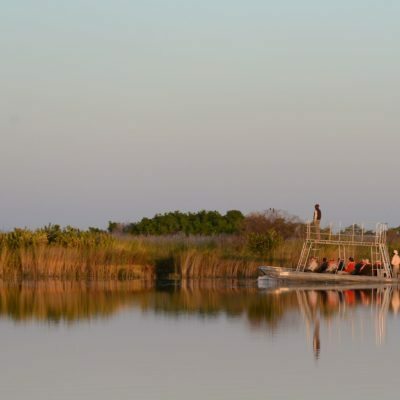 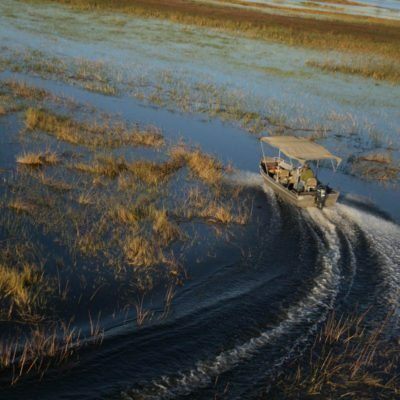 However, it offers 5 different activities all year round (water levels can affect mokoro activities though), so it is a great “one-stop-shop” on any itinerary. 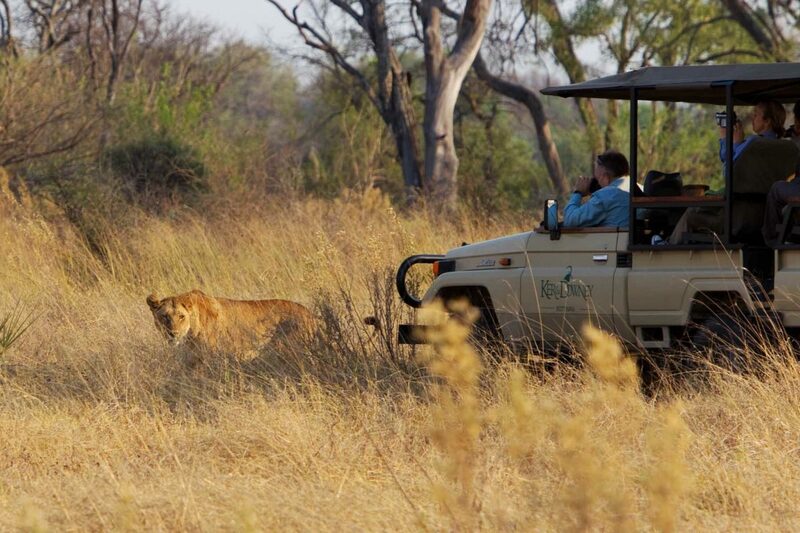 Little Kwara activities operate with a guide and tracker system – so two guides to help locate animals! 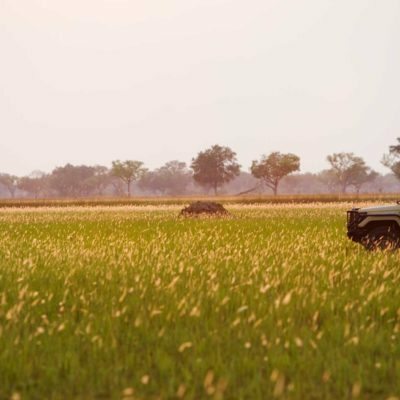 Most people fly into little Kwara using the nearby airstrip. 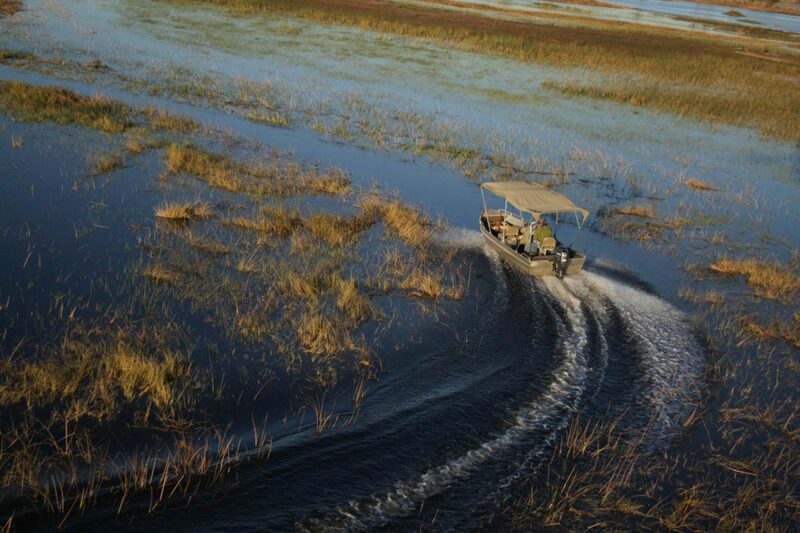 You can fly in from Maun (35 minutes) or Kasane (1 hour). 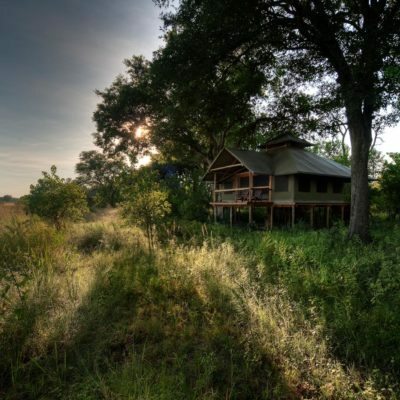 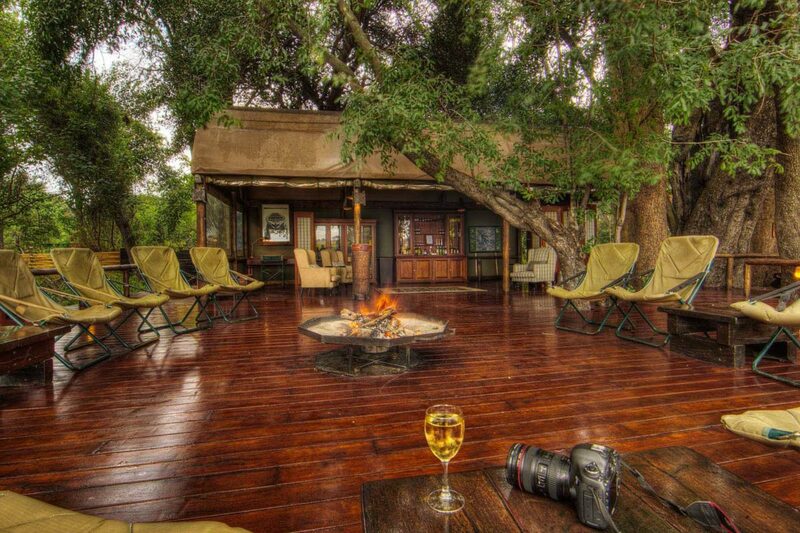 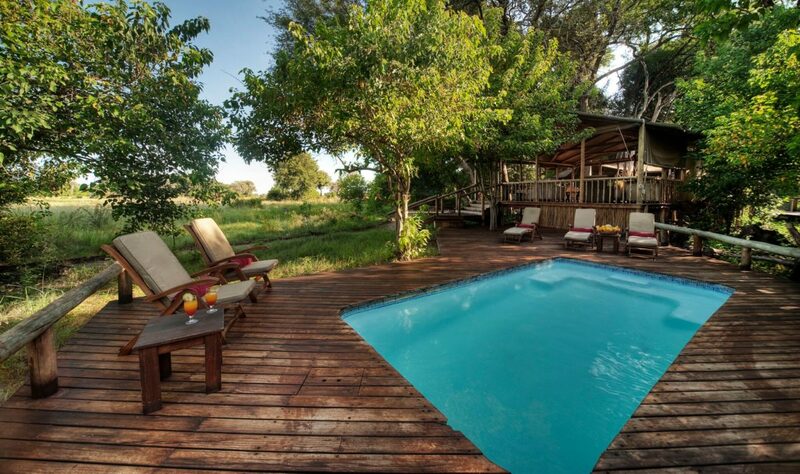 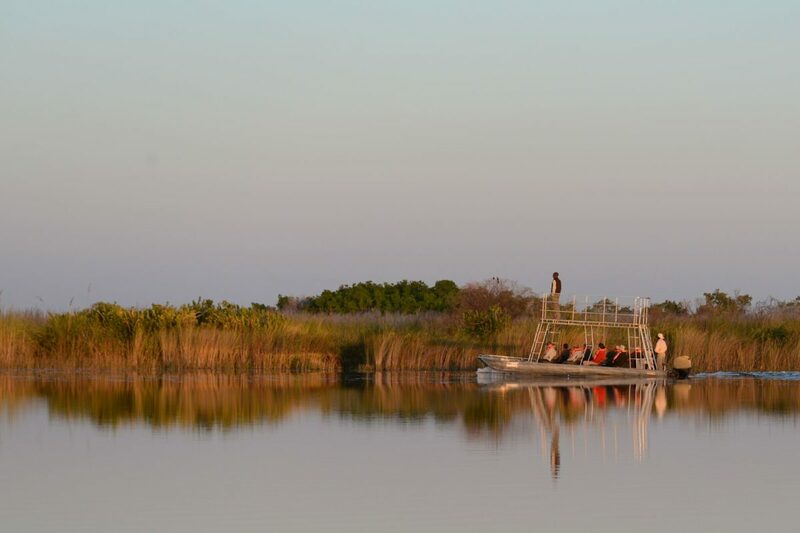 Flying in to this lodge is an event in itself as you get to see the Okavango from the air. 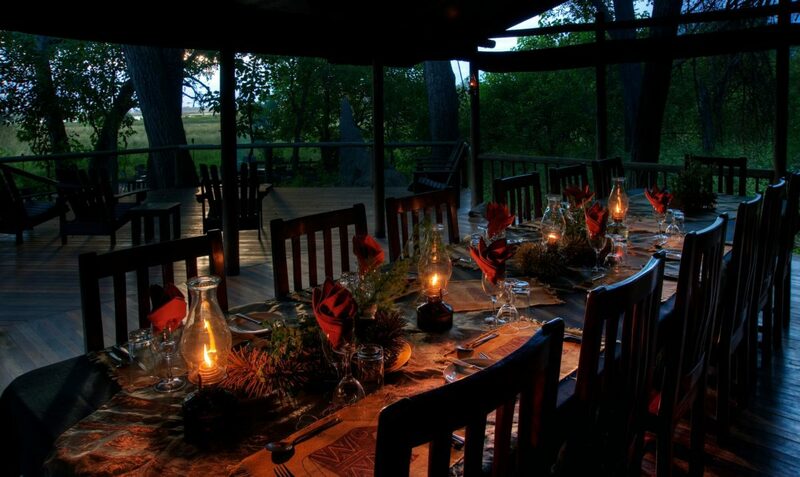 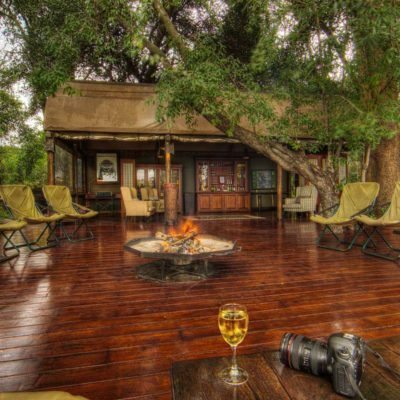 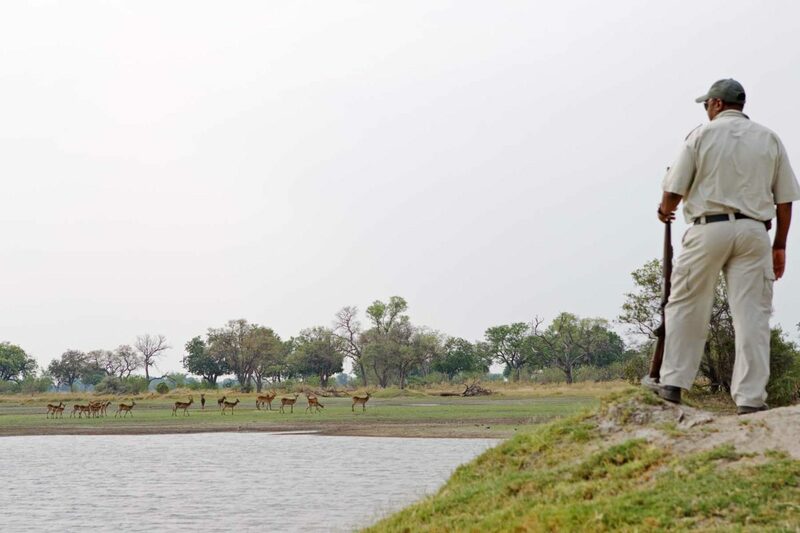 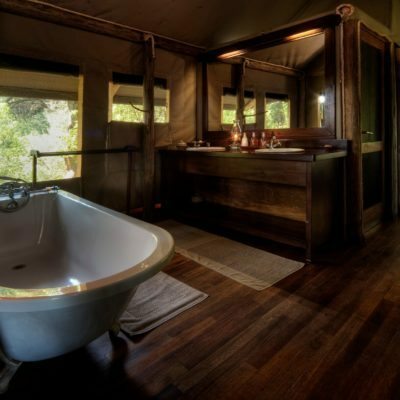 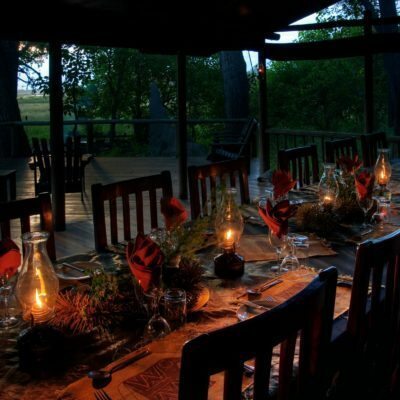 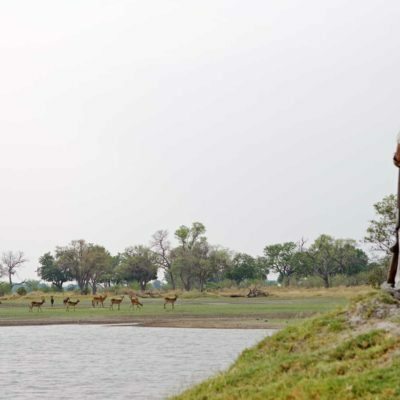 One must note that the emphasis at this camp, as well as all the other Kwando Safaris lodges, is the guided activities. 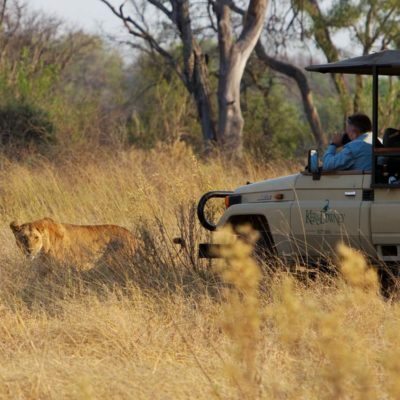 Afterall, they provide each guide with a skilled tracker to help locate animals. 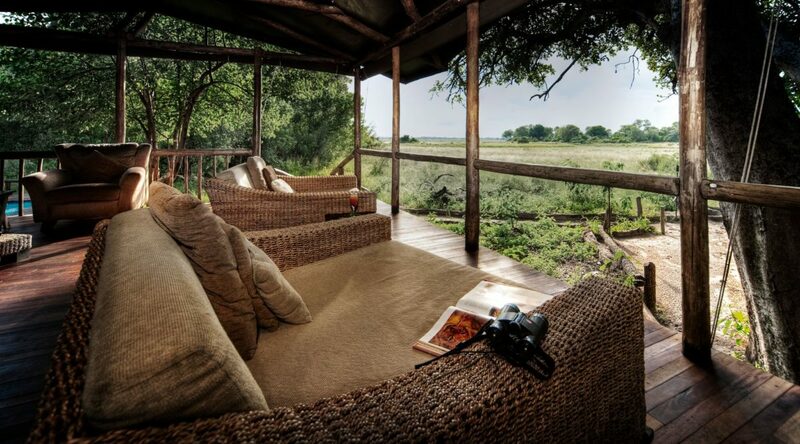 The rewards of this ethos is guaranteed productive game viewing. 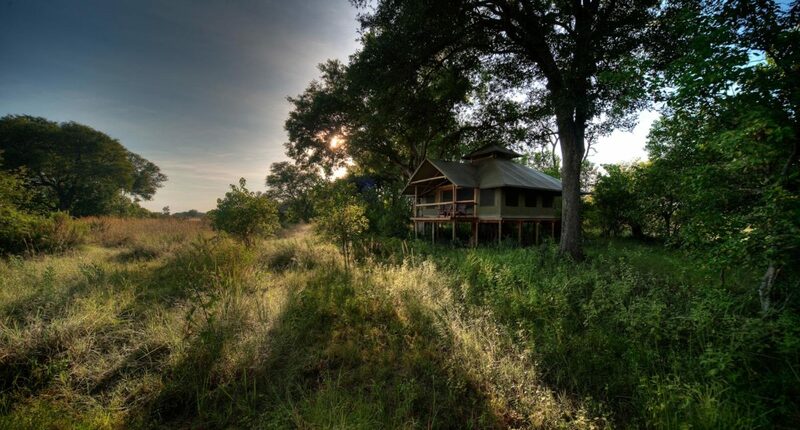 Little Kwara is fairly modern with spacious accommodation of wooden structures with canvas sides and walls. 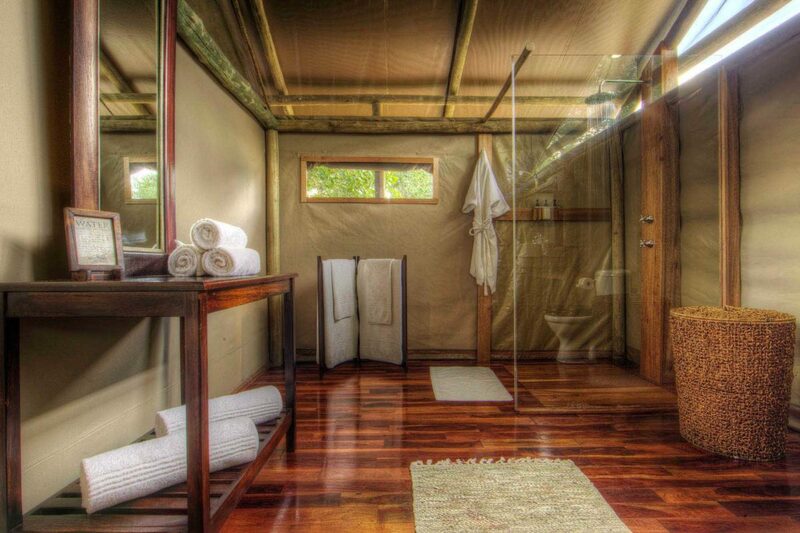 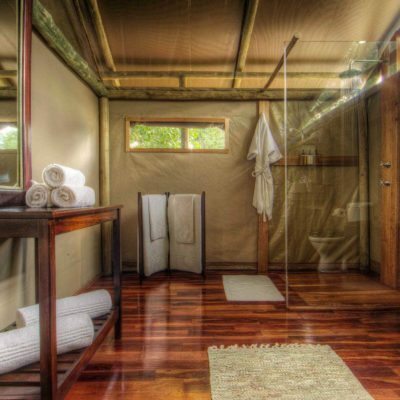 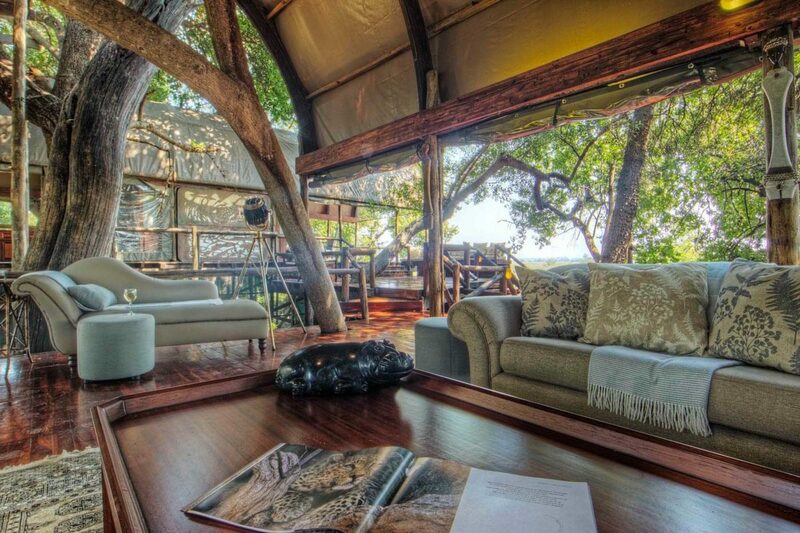 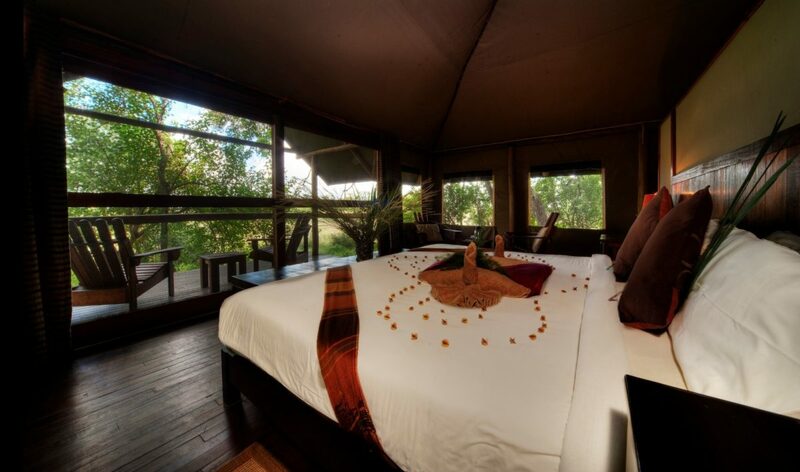 These “rooms” are well spaced and raised with good views of the surrounding bush. 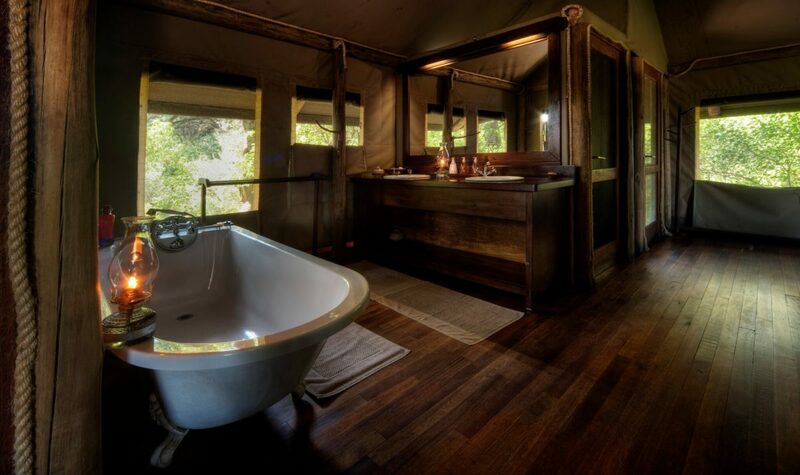 There is no overly excessive luxury, but rather the camp has been kept small and intimate in order to provide a level of exclusivity (only 10 guests maximum). 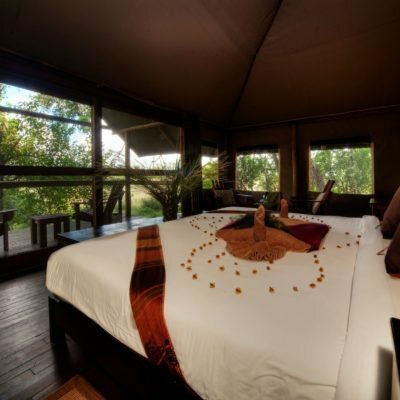 This exclusivity is reflected in the price, so you will pay more to stay here compared with its neighbouring “big sister” camp – Kwara. 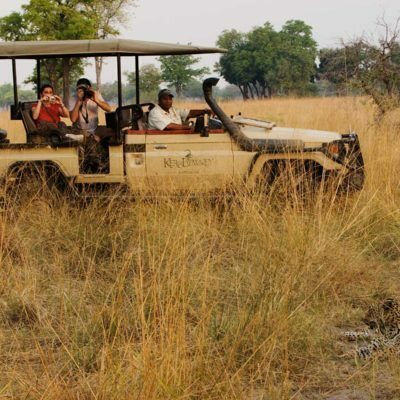 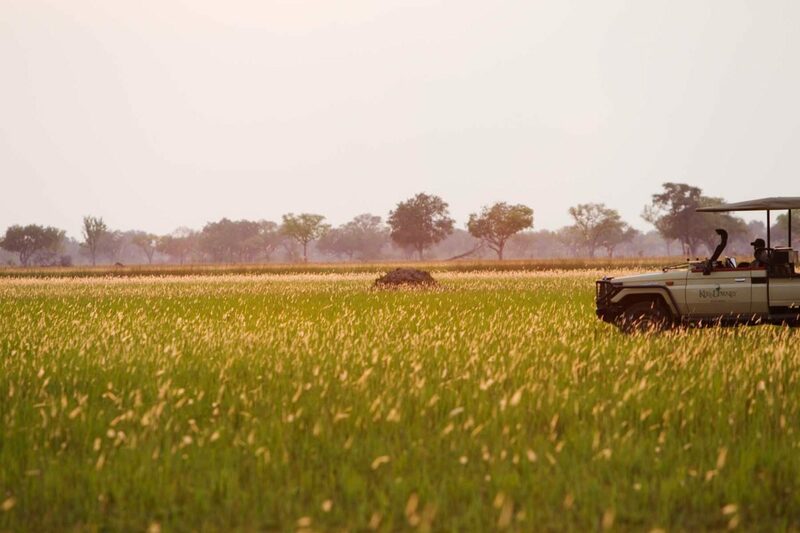 Further, you also pay for excellence in the guided experiences on offer – a first rate wildlife area and a guide and tracker system that know their trade in finding animals. 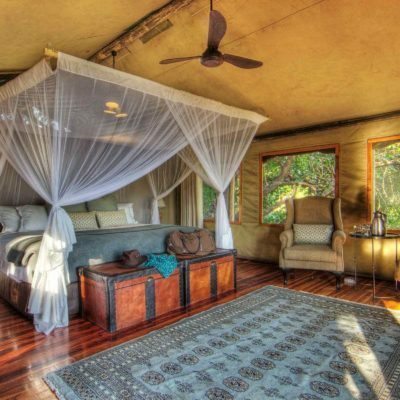 Little Kwara is owned by Kwando Safaris and is one of a portfolio of well located lodges owned by the same group. 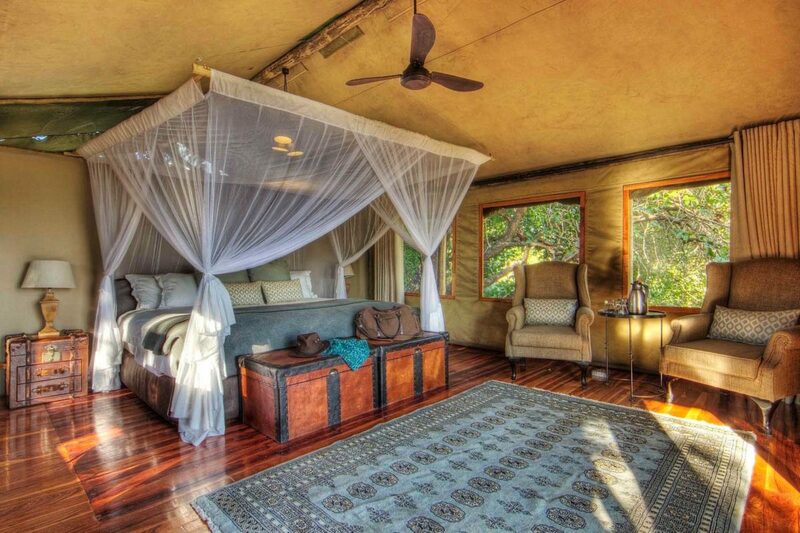 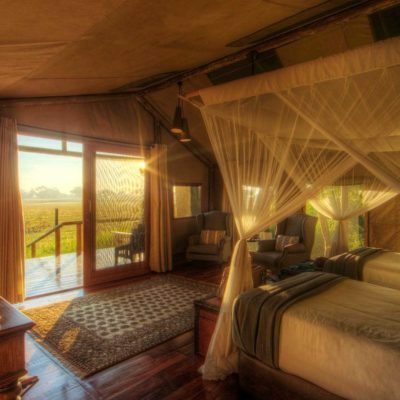 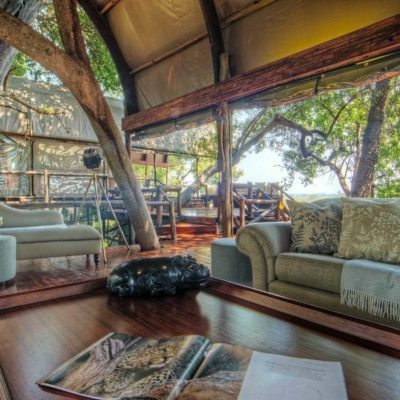 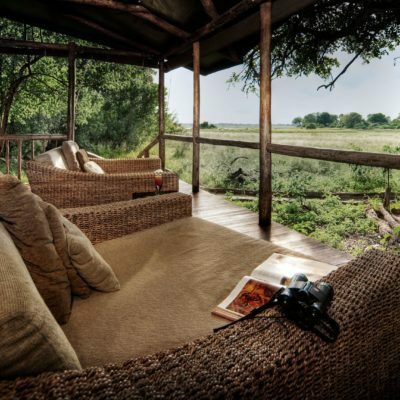 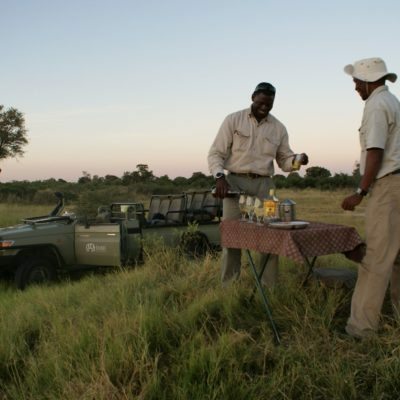 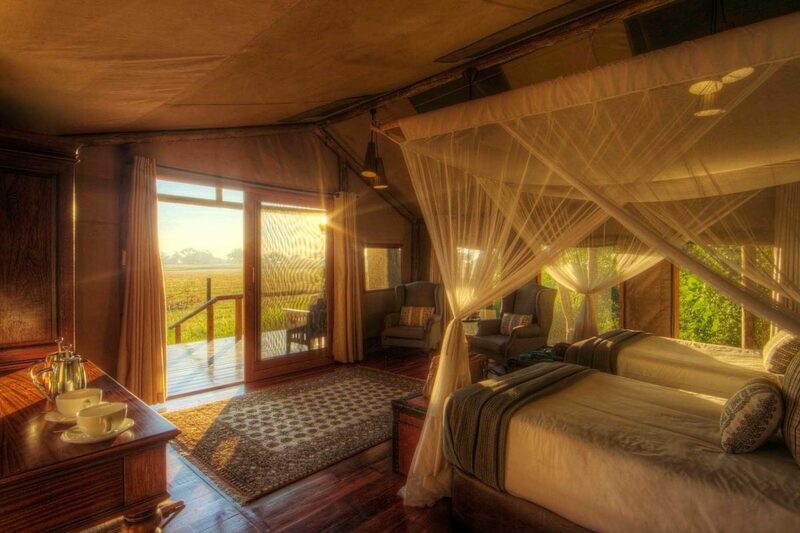 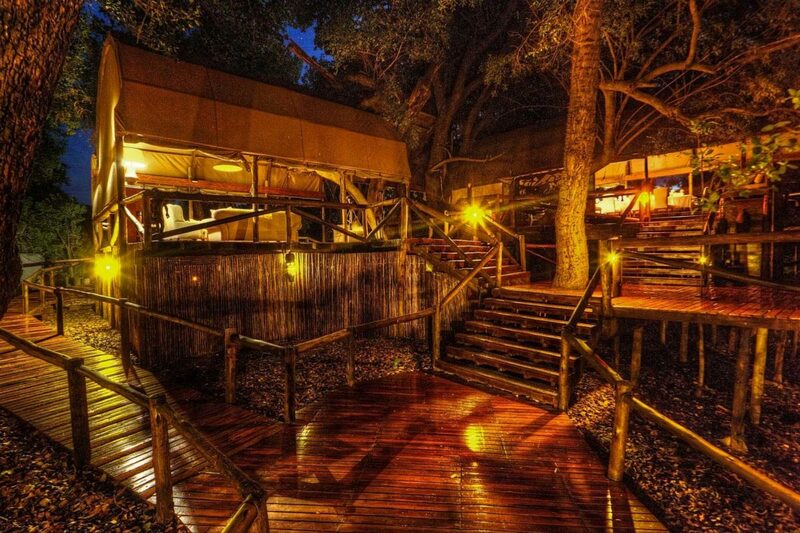 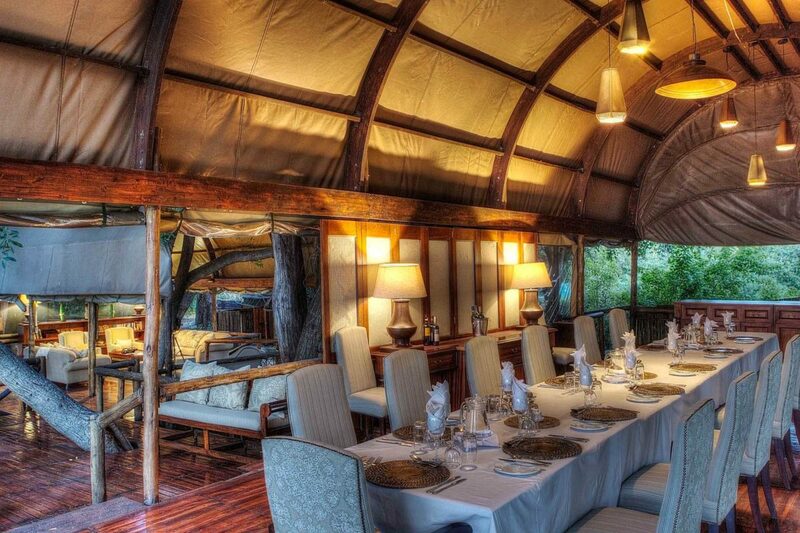 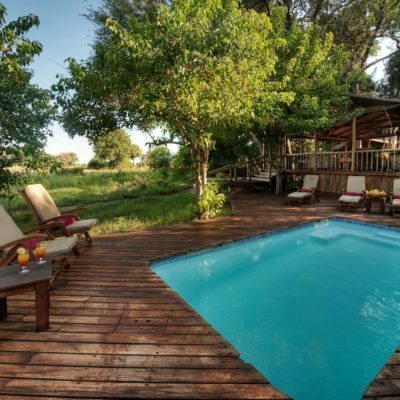 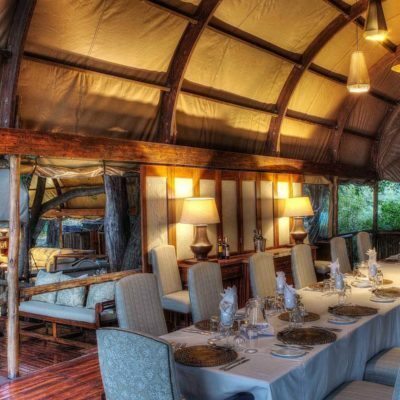 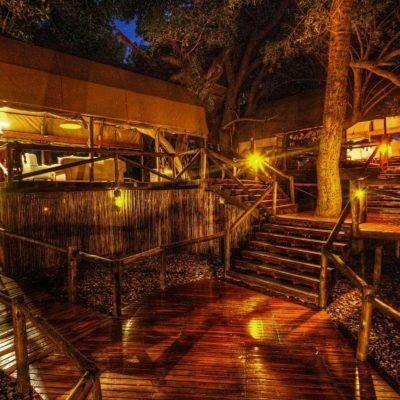 You can therefore pick up good discounts when combining with other related Camps on their safari circuit.